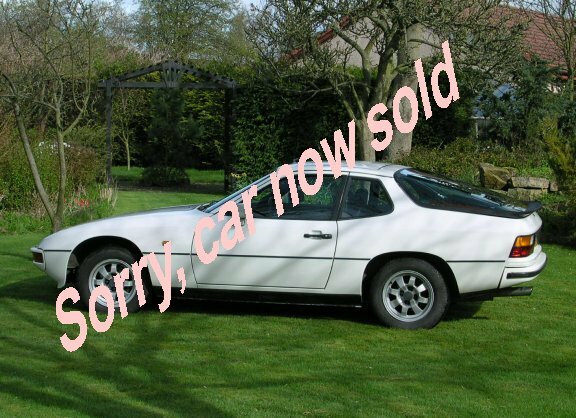 I sold my Porsche 968 last year and looked for a decent 924 locally. I was dismayed at what rubbish they all were, but with the help of a friend I found this one in London, flew down, and drove it home. 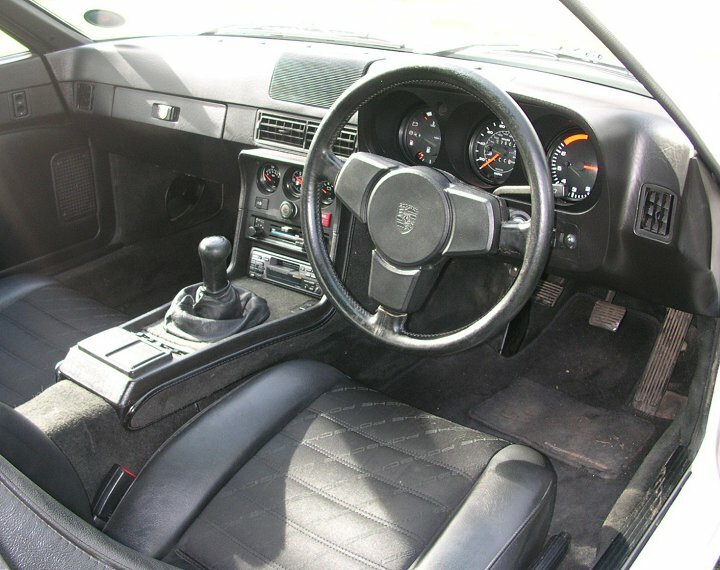 It has been 100% reliable, and great fun to drive, but as I have just bought a 911, I now have to sell it. 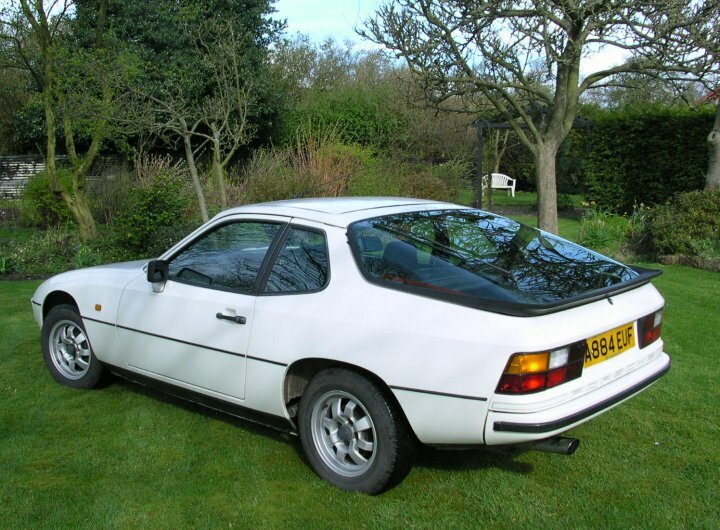 So this is your chance to buy one of the best cheap Porsches you will ever come across. 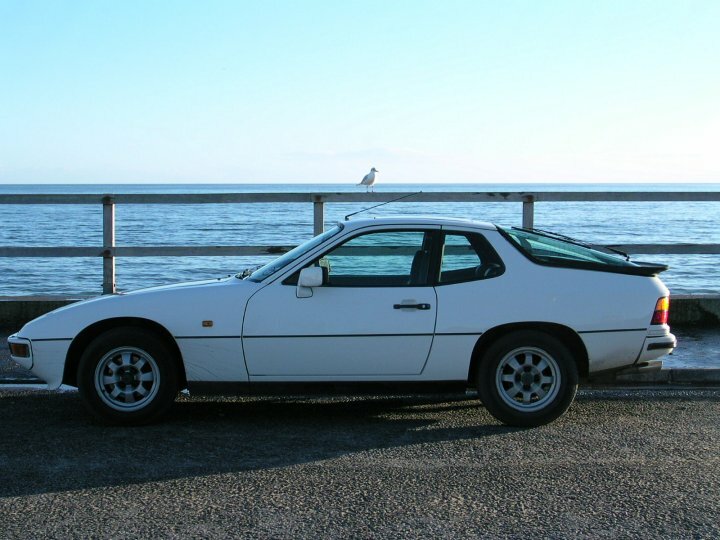 It is a 1984 Porsche 924 Lux, in white with an almost perfect black Porsche logo cloth interior. It is taxed till end of May, and has a full 12 months MOT certificate. 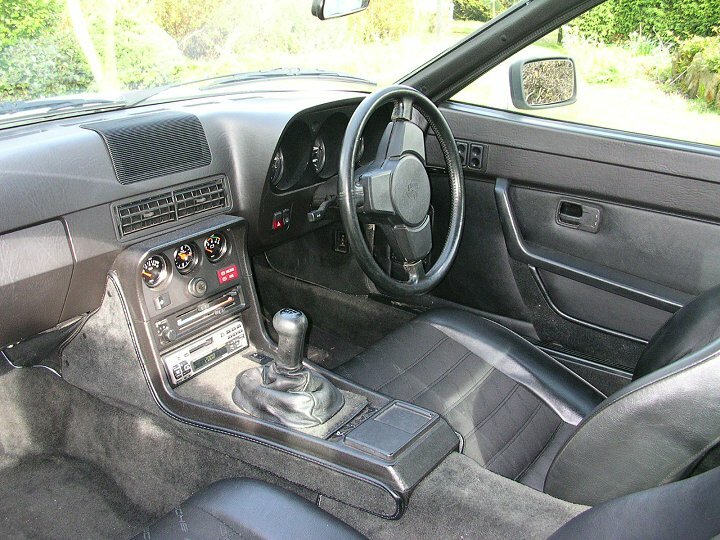 It has the usual electric mirrors, windows, sunroof, etc, and has a decent Sony radio/cassette with 4 speakers. Otherwise it is pretty much standard. Click on the thumbnails below to open to full size. What really sets this car apart from all the others you will see advertised is the service history. I bought it from a lady lawyer in London who had owned it fro the previous 8 years, and used it every day to do a substantial commute. As a result, it has done a high mileage, but these miles were done at motorway speeds, not pottering round town, which is what wears cars out. Neither has it been standing in a damp garage for years, as many have. Click on the thumbnails below to open to full size. The previous owner had spared no expense on the car. She always had it serviced on the button, and anything it needed it got. I have a thick sheaf of invoices (mostly from Northway Porsche, a respected independent) for over £8,000 for service and maintenance. 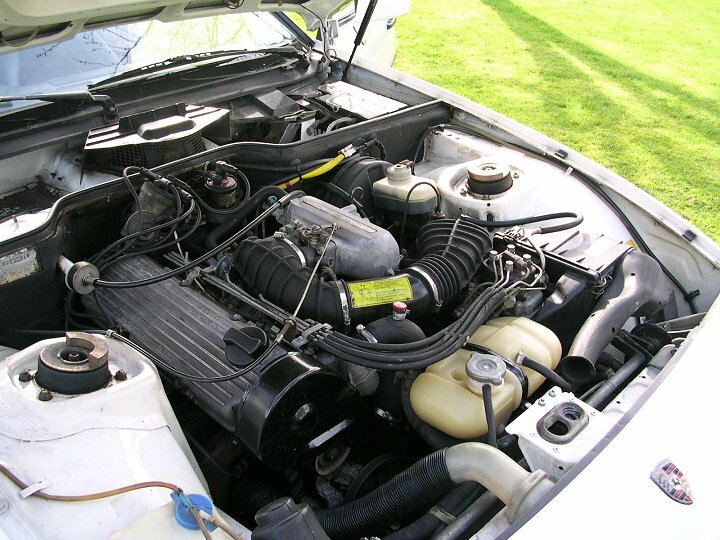 As a result, all the potentially troublesome components in a car of this age have been replaced, serviced or overhauled. 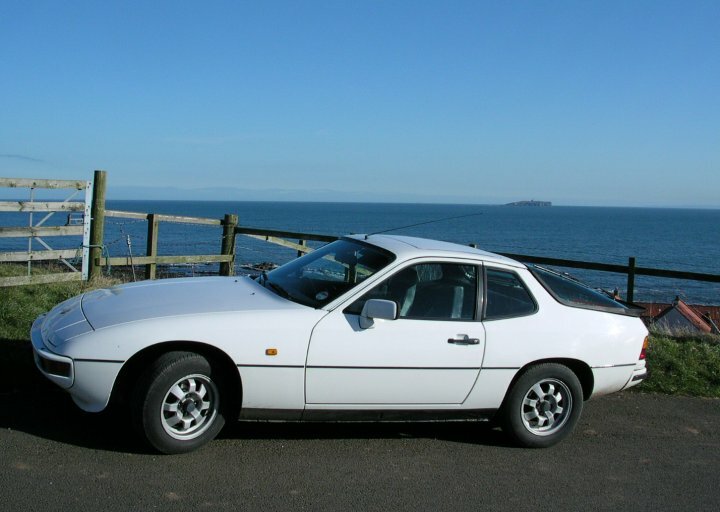 Brakes are excellent, the exhaust is perfect, the clutch has recently been replaced (a very expensive job on a 924), recent new battery, and steering, shocks, tyres, sunroof, and lots more have all had attention. 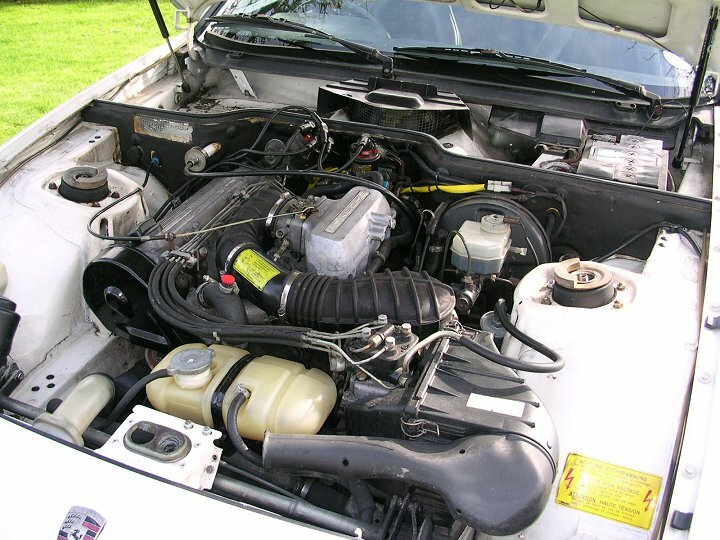 In my ownership I have serviced it, replaced stuff like all the wipers, and had the drivers seat professionally re-built. In short, it looks, goes, stops and handles far better than you would ever expect from a car of this age. 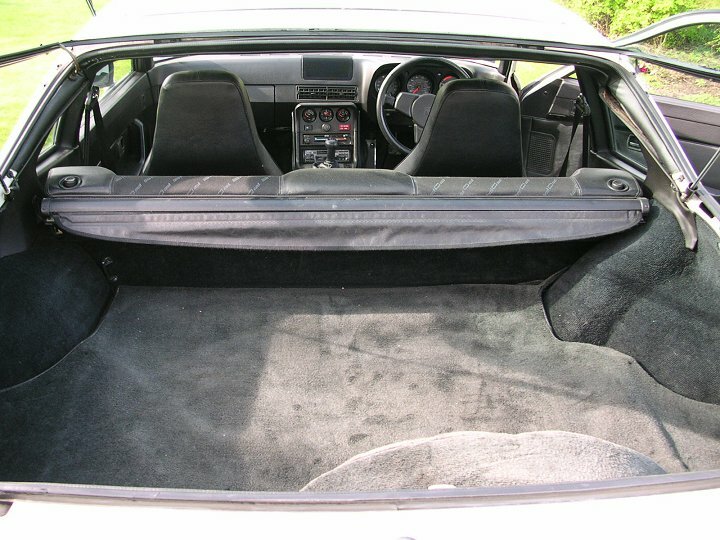 A true testament to Porsche quality. Please call me on 01337 830272 or my mobile 07910 836003 for more details, or you can e-mail me on johnh@arthurlea.com Please note that I work during the weekends, but the car can be seen from 5:00pm onwards, or during the week, and I have a large well lit garage should you want to see it in the evenings. I am based in Fife.